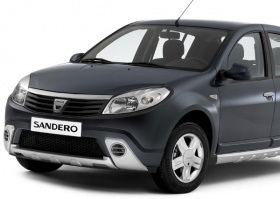 The Dacia Sandero benefited as car buyers in Europe shifted to low-cost, low-CO2 cars last year. Some of the biggest sales winners of 2009 in Europe were the Dacia Sandero subcompact (+282 percent), Hyundai i30 compact (+67.5 percent) and Nissan Qashqai compact (+27.3 percent), according to UK-based market researcher JATO Dynamics. Based on an extract from JATO's Volumes Regional Report, which covers sales in Europe and Turkey, Automotive News Europe below provides a look at the top 3 sellers in the 23 car segments we monitor. Volume segments such as minicars made significant gains last year thanks largely to government-funded scrapping incentives, while demand for large models nearly collapsed. Some of 2009's biggest losers where large SUVs such as the Hyundai Santa Fe (down 39.1 percent to 12,851 units last year and down 72.6 percent compared with 2007) and the Mitsubishi Pajero/Montero/Shogun (-31.2 percent). Sales in the segment slipped to 38,497 large SUVs last year from a peak of 180,740 units in 2006. Demand for fuel-hungry large minivans fell 25.7 percent to 168,293 units last year. The segment is a long way from its peak of 367,771 units in 2003. Below is more on each segment. 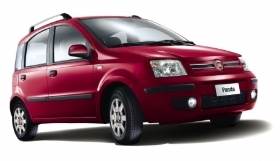 The Fiat Panda minicar had its best sales year ever in 2009. 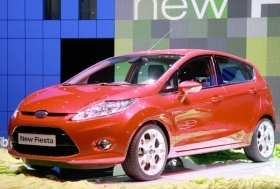 The Ford Fiesta dominated the subcompact segment last year. 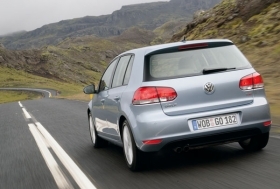 The Volkswagen Golf was Europe's top-selling compact and No. 1 overall in 2009. 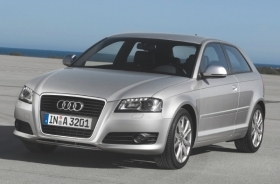 The Audi A3 easily outsold its top entry-premium rival from BMW last year. 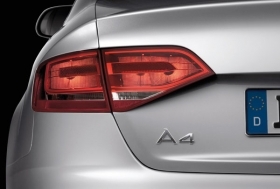 The Audi A4 topped the BMW 3 series and Mercedes C class in the lower-premium segment last year. 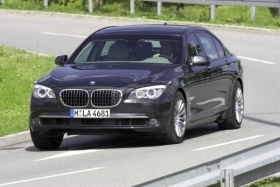 November sales of the BMW 7 series rose 57.1% to 5,025 units compared with last year. The BMW 7 series won a tough battle in the upper-premium segment with the Mercedes S class in 2009.